Principles and methods for effectively launching a seeker small group.Best-selling author and evangelism expert Lee Strobel describes seeker small groups as “One of the most powerful and effective tools in evangelism.” A seeker small group is facilitated by a Christian leader, but group members are seekers—non-Christians investigating Christianity. The group provides a safe context for seekers and believers to ask questions and dialogue about faith.This highly transferable model can be implemented by all kinds of ministries with a wide range of evangelistic styles and strategies. As believers complete evangelism courses such as Becoming a Contagious Christian, they are motivated to reach out to others but often feel they lack opportunities to interact with non-Christians. 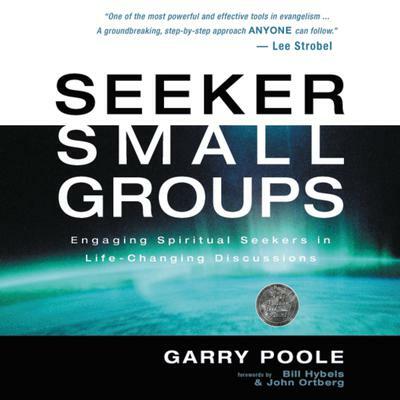 Seeker Small Groups is the missing evangelism tool churches need to fill the gap between evangelism training and real-life opportunities for engaging seekers in life-changing spiritual discussions.The book presents a detailed, step-by-step process for launching seeker small groups strategy in a wide variety of settings. The groups are for seekers whether or not they are attending church. Numerous stories and illustrations provide inspiration and encouragement so readers are not only equipped but also motivated to launch their own seeker groups.